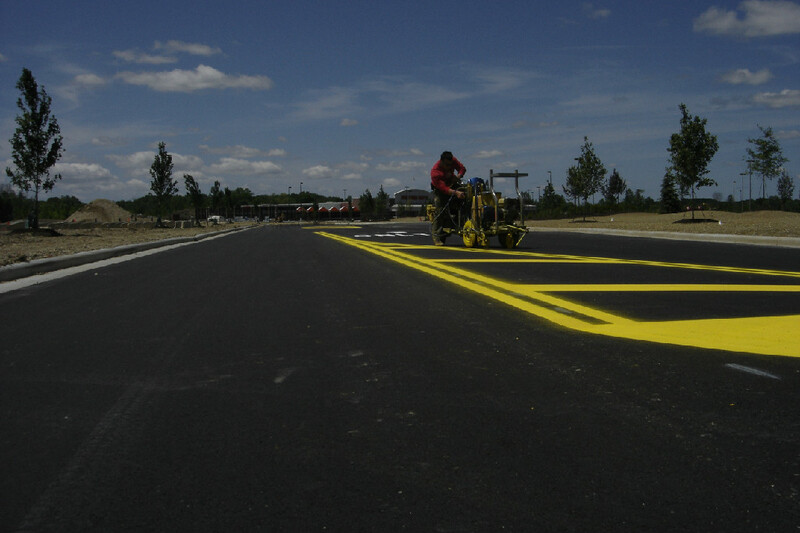 ProMark Striping has been in business since 2003. Since then we have been asked to stripe a wide variety of projects ranging from air line passenger gates, Wal-Marts, playground games, logos, helipads, and much more. We have great confidence in our ability to carry out any job with professionalism and efficiency which makes our cost to you very competitive. The knowledge we can offer to suit your best interest is covered since we can install whatever type of safety markings you desire. All types of markings have their place. Some are designed to be temporary and some are designed to be much more permanent. We have you covered with the ability to install all types and properly prepare the surface for each. Most of the time contractors that only offer one marking type will try to emphasize why theirs is superior. We have completed several jobs in Cincinnati, Erie, Pittsburgh, Indianapolis, Houston, Fort Worth, Charlotte, Pittsburgh, Philadelphia, Chicago, Atlanta, Columbus, Salt Lake City, Seattle, Denver, St. Louis, and Kansas City.